This week’s featured blogger is definitely going to make you hungry! Meet McKel of Nutrition Stripped. A while back, McKel reached out to me with a question about her blog. Immediately upon looking at her blog, it was clear to me that she knew what she was doing. Her photos are mouth-wateringly beautiful, her writing is excellent and her blog’s clean design makes it easy to read post after post. When I thought about starting this feature, she was one of the first bloggers who came to mind. McKel has achieved very rapid success (in terms of blogging), boasting a Facebook account of over 8,000 fans and an eye-popping 67,000+ Instagram followers! Take a look at her Instagram account and you’ll see why. Talk about staying focused and delivering what your audience wants! 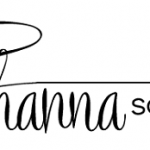 One additional note – if you’re looking for a LEGIT food blog to follow, this is a great one! McKel is a Registered Dietitian and a Licensed Dietitian/Nutritionist. Basically, she knows what she’s talking about when it comes to what is good for you and what isn’t. Ok, so let’s hear from McKel and learn about how she’s achieved such great success in just over a year of blogging. How did you choose your url? What does it mean to you? This is a great question! I have a lot of people ask me what the meaning behind Nutrition Stripped is. First, when I was brainstorming names I wrote down a list of adjectives, concepts, imagery, or visuals that I felt represented my philosophy about food, coaching, and overall health. I came up with a list of about 40 adjectives and starting narrowing them down. A couple of names that were great, were either too similar to names already out there, didn’t roll off the tongue well, or didn’t make sense/capture the message I was trying to portray. Also, I took it to my family and friends with each name and presented it as “What do you think this means… or what do you think of when you hear this…?” Those were helpful questions to ask. I also had to keep in mind, would this name be something my company could be named after. Nutrition Stripped essentially means getting back to bare basics with nutrition- stripping away nutrition confusion and just getting back to the real deal. Whole real foods is the basis of my food philosophy- I also clearly state what my food philosophy is on my blog for everyone to read and get a sense of where I’m coming from. In one sentence, describe your blog. Healthy whole food eating made deliciously simple with nourishing recipes and nutrition services by a Registered Dietitian. It was a year mid- January! How long did it take you to earn your first $100 from blogging? At least 6 months- it takes a lot of time, patience, and hard work. For a while I didn’t want to sign up for ad networks because of lack of control with what would be advertised on my site- I wanted to make sure it was congruent with what I was preaching and believe in. I do my best to monitor ads, but sometimes a couple slip through I would rather not see. What is the best piece of advice you have received about blogging? Have your own voice! Be who you are, don’t copy someone else just because you see him or her being successful. Take notes, but ultimately no one can be you better than YOU. There’s a solid quote I love “Comparison is creative kryptonite. Be in your own game”. What is one thing that you wish you knew about blogging before you started? The time, labor, and hardships that go along with it. Blogging isn’t just sunshine and rainbows all the time- it’s a FULL time job if you make it out to be. You’re not only a writer, but in my case with food blogging, I’m also a photographer, social media marketer, recipe developer, editor, accountant, business guru, and then my actual title of a dietitian, which involves one-on-one coaching. What is the most recent “aha” moment you have had about your blog? Make it work FOR you, not WORK you. Having a blog is just one of many platforms for your crafts. Your Instagram account is tremendous. What do you attribute to such amazing growth there? Visuals and knowledge. We’re visual beings and in my line of work for food blogging, sharing nutrition information and touching base with my clients, it’s based largely on visual appeal. I also feel it’s grown so well because of the content I share. An unfortunate side of social media in general is the “guru” effect- you have people who eat food claiming they’re nutritionists or feel entitled to recommend specific things nutritionally speaking, to a huge audience. It can be dangerous and full of bad information especially when these individuals have thousands of followers! I like to think people can have peace of mind and rely on my information coming from my solid background in nutrition, science, and my experience- not just “hearsay”. You offer nutrition and health coaching services. Has your blog helped get you more clients? If so, how do you think it has? I do offer nutrition services from one-on-one coaching with clients to recipe development with companies; freelance writing for articles/magazines/journals, to food styling and photographing work. Having a blog and website has allowed me to share “what I can do” in terms of nutrition content I share for free, photography, and also connecting with people on a more person level. In general, do sponsors come to you, or do you reach out to them? I’ve only engaged in one sponsored post thus far and that’s because they’ve contacted me. I’ve had many sponsors, brands, and products contact me for sponsored blog posts that I’ve turned away simply because their product or brand is not in line with my philosophy or I didn’t truly enjoy the product. I’m honest with my readers and I would never engage in a sponsored post just because I was paid to do so, honest and integrity > money! Do you do it all yourself or do you have a Virtual Assistant? How many hours does your VA work? Before you asked me this question I had no idea what a virtual assistant was! I do it all solo. I’m the photographer, designer, writer, editor, recipe developer, accountant, social media/marketing guru, etc. If I did have a VA they would be working well over 20 hours a week, but since I don’t- that’s all me. The way Nutrition Stripped is growing, I will have to hire someone on in the future. Do you have another job, or is blogging your main source of income? I work as a Registered Dietitian coaching clients one-on-one through my personal business of Nutrition Stripped, freelance nutrition writer, and I work with several companies as their dietitian. How many hours per week do you work on your blog/recipes for your blog? It varies from recipe to recipe- some are quite easy to develop because they’re things I eat on a daily basis (for example, smoothies, Nourish Bowl, stir-fry’s, etc. ), whereas others take many more trials of recipe testing (for example, cakes, cookies, breads). To estimate, I’d say around 2 hours total for each photo shoot + photo editing, 1-4 hours recipe testing, 1-3 hours writing a blog post. Some of my blog posts aren’t recipes, they’re researched based such as my “Spotlight On” series where I go in depth about a specific food or ingredient, health benefits of, and nutritional content. Do you try to keep set hours for yourself or do you just work until the work is done? When I first started out, I had no clue how to balance my schedule and I let my blog work me- as in, overwork me! I’ve since learned how to better manage my time, get organized, and set boundaries with work and personal life. Blogging is a fantastic part of my life that I enjoy so much that sometimes it doesn’t feel like work- for example photo shoots and editing is incredibly fun and stress relieving for me. What advice do you have for someone who wants to start a blog (any blog)? Be patient, work smarter not harder, set boundaries, have your unique voice, be true to yourself, and know that nothing happens over night. It takes weeks, months, maybe even years of hard work and dedication to take your blog to your dream goal. You’ll get there if you stay on track, enlist a great group of supportive friends and family, and take it step by step (or should I say blog post by blog post). Thanks McKel for a great interview! While McKel has experienced a more rapid growth pattern than most one-year old bloggers, it’s pretty clear as to why. Take one look at her site and social profiles and you see that she sticks to her focus 100%. Reading the interview makes it even more clear – McKel takes what she does very seriously. My favorite part was that she says “it doesn’t feel like work” when speaking on blogging. This is perfect! I say this often here on the blog – you have to LOVE what you are doing, or it’s not going to work. There are very few people who would stick with something they don’t enjoy for 6+ months without making money. You have to love it and take pride in it. Again, it is very clear that McKel does, and I think that is a major factor in her blog’s speedy growth. I also like how she talks about not letting your blog run you. Time management plays a big part in this. If you set a schedule with goals and plan out your days, you will allow yourself some non-blogging time, which is important in avoiding burnout. McKel is an excellent example of having a vision for her blog and executing. She wants to show that she has extensive knowledge in nutrition and I think she does an outstanding job at that. She approaches her blog with professionalism and every post and social media update improves her chances at landing new clients. It’s not easy landing clients for consultations out of the blue, and using a blog the way McKel does is genius, when done the right way. LOVED this interview Zack! My favorite part was her answer to how she chose her url. So much thought put into that. 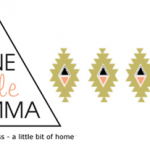 “I also had to keep in mind, would this name be something my company could be named after.” How awesome that she uses her blog as an extension of her business, her brand. I wish I would have had that “business” mindset from day one. That’s just straight awesomeness. Yep, she is great! You can tell from day one that she had a focus and was treating it like a business. Yep, I have been following along for a while and the stuff she puts on her blog is ridiculously good!